In this increasingly popular fundraising mechanism, people with creative ideas post proposals on dedicated websites (such as Kickstarter for creative projects). People intrigued by the project provide contributions, and typically receive acknowledgements and perhaps suitable gratuities (tickets to the movie, copies of the game, etc.). A few websites have pushed these efforts closer to traditional small-cap investing—for example the Mosaic website facilitates investments in financing for solar energy projects. But these efforts have been limited by provisions of federal securities laws designed to protect investors ... although those limitations are changing. Make no more than $1 million in sales to all investors in the 12 months up to the exempt transaction (whether or not made under this exemption. Greater of $2,000 or 5% of the investor’s annual income or net worth (if either is less than $100,000). Transaction is conducted through an “intermediary” — broker or “funding portal” —that complies with newly established registration and reporting requirements. Issuer meets information filing, investor notice, and intermediary compensation rules that the SEC is to define. SEC was to have published these regulations by December 2012, but is running late. Despite the delay, SEC's new proposal hews close to the lines established by the JOBS Act and other registration and exemption provisions in the federal securities acts. Information about officers, directors, and owners of 20 % or more of the company. Description of the company’s business and the use of proceeds from the offering. Price at which the securities are offered, target amount, deadline to reach the target amount or withdraw the offering, and whether the company will accept investments in addition to the target amount. Certain related-party transactions, if any. Description of the company’s financial condition. Financial statements of the company that, depending on the amount offered and sold during a 12-month period, may have to be audited or accompanied by the company’s tax returns. Providing investors with educational materials. Taking specified measures to reduce the risk of fraud. Providing information about the issuer and the offering. Providing communication channels to permit discussions about offerings on the platform. 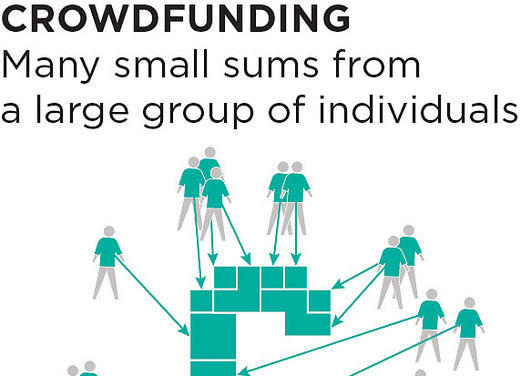 Facilitating the offer and sale of crowdfunded securities. SEC's proposal copies the limits on investment set forth above, in total amounts and relative to their assets. Investors generally cannot sell these shares for at least a year. Does my organization anticipate raising investment funds by selling securities? Does the organization already have securities registered with SEC? Has the organization already issued unregistered securities, under an exemption from registration provided by federal securities laws and SEC rules? If the organization is considering raising no more than $1 million per year, has it reviewed “crowdfunding” provisions of the JOBS Act, and SEC’s proposed rules? Am I an investor, interested in investing in non-public companies? If so, have I considered whether to invest via “crowdfunding” websites, once SEC’s rules become final? Jon Elliott is President of Touchstone Environmental and has been a major contributor to STP’s product range for over 25 years. He was involved in developing 16 existing products, including Securities Law: A Guide to the 1933 and 1934 Acts and their Amendments, including Sarbanes-Oxley and Dodd-Frank and Directors' and Officers' Liability.